Bison stands with a tree stump on his proper right. 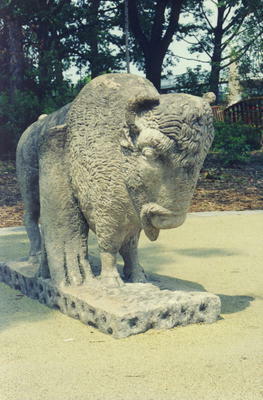 : “Bison,” Ohio Outdoor Sculpture Inventory, accessed April 22, 2019, http://oosi.sculpturecenter.org/items/show/390. Near the Anthony Wayne Jr. Entrance.